You likely know by now that the best way to forge your career as a freelance writer is to use cold pitching for your lead generation repertoire. You won’t find many successful freelance writers waiting around for jobs to come to us or selling our souls for pennies on content mills. Many successful freelance writers take a more proactive approach by reaching out to prospects ourselves. We find and introduce ourselves to people in our niches to make connections and eventually build our client base. Many of the people you reach out to won’t respond. Many more will say they’re not looking for a content writer right now. A few will show vague interest. By cold pitching, you’re laying groundwork (or woodwork) for writing projects down the road. You’re going to have people come out of the woodwork looking to work with you when the time is right. You want to make sure those people are the “right” people in the “right” niche. Or rather, you want to make sure you’re contacting a company with a marketing budget in a niche you enjoy. The hurdle a lot of new freelance writers face is: Where do I find people to cold pitch? That’s what I’m here to tell you! Some of the best places to reach out are on LinkedIn, your personal network, previous employers, etc. But in this article, I’ll go over four overlooked places you probably haven’t even thought of to find people to send cold pitches to. And this list will give you hundreds of people to pitch. Angel List is a platform where you can invest or search for jobs in startup companies. I love working with startups because the fresh energy is high and the founders are often the type of people I love working with. They’re entrepreneurial and ambitious like me, and they haven’t fallen captive to corporate stagnancy. This directory lists startups in all industries, from tech to fitness, so you’re sure to find new businesses in your niche. The first thing to do is to search for writing jobs in your niche. At the bottom of the homepage, you’ll find a list of jobs by category and geographical location. Do a little browsing and see what comes up. If you search under “marketing jobs,” you’ll find a “marketing content manager” filter that brings up quite a few lucrative writing jobs. 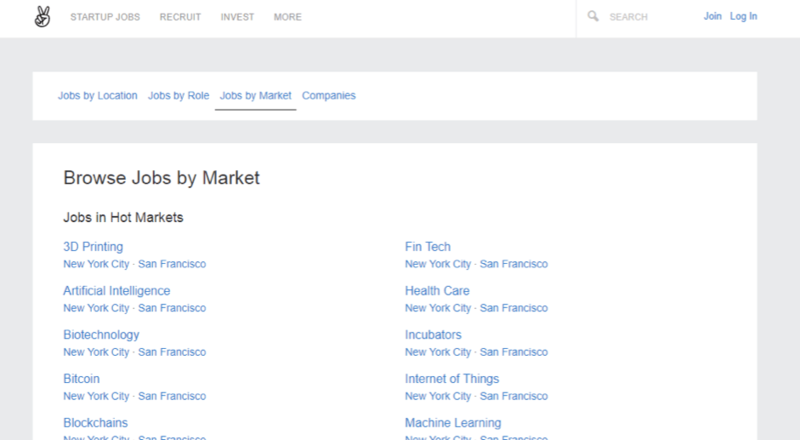 You can also search jobs by market. So, I personally like to peek at the Health and Wellness and Fitness categories. You can apply directly for the jobs listed, if you find the perfect match. Or, you can make a list of all the up-and-coming businesses in your niche (do a search by company type) and write them all a letter of introduction. You can even see how much capital the companies have raised so you can guess how sturdy their marketing budget is. Just because a company doesn’t have a job listed doesn’t mean they don’t have content needs or won’t in the future. This is what I mean by laying the groundwork. Introduce yourself and get your name out there so they remember you when it’s time to find a writer. nDash is a brand-new platform where writers and companies who need writers meet. It’s not quite as robust as it potentially could be, but it’s still unsaturated, which is nice. Only a few assignments at a time are ever listed, but here’s where you can take that proactive approach again. Don’t wait for an assignment to be posted; create one for yourself. The best way I’ve found to approach nDash is to introduce yourself to relevant companies in your niche, along with a relevant article pitch. Check out the company’s profile and come up with a few article ideas relevant to what they’re looking for. Sometimes persistence pays off too. You can circle back and try pitching companies again. I like to use this platform as a fallback when I’m in a slow period and have some writing time to spare. So far, I’ve only written one-off pieces, but I’m sure the potential for long-term client relationships is there. On PR Web, you can search for companies in your niche that are sending out press releases. This is a great place to find leads! If a company is sending out a press release in the first place, you know they have a solid marketing strategy in place. Wanna know something else? Usually, the marketing contact’s name and email address are provided at the bottom of the press release. No LinkedIn stalking necessary! It also means the company has something noteworthy to share. Make sure your introduction sounds sincere though, or people will read right through it. To find companies in your industry, go to the News Center and search for press releases in your particular niche. Since mine is health and fitness, I would search Health under the “More” tab. Any of these would be a great place to start. 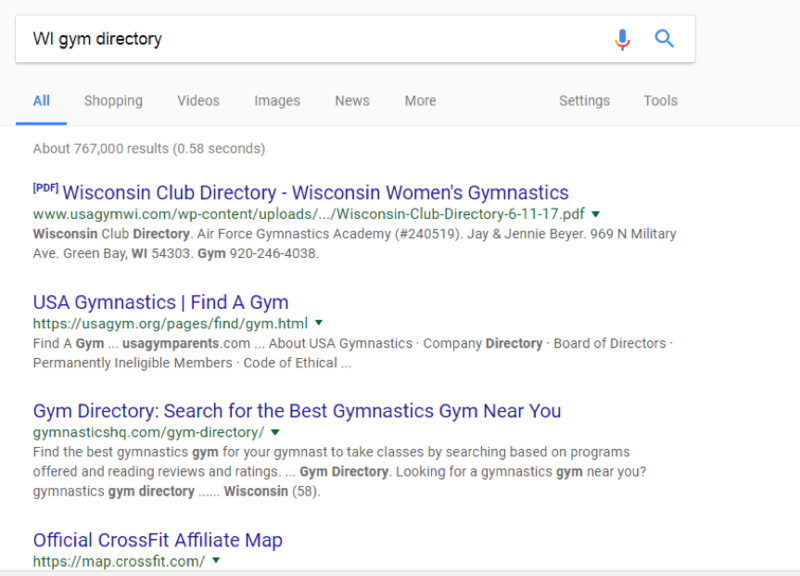 Once you find a directory of businesses in your niche, you can just start at the top and work your way down, sending a certain number of pitches per day. Make yourself known to these businesses and if one of them happens to have content needs, you just presented yourself as the solution. Some businesses will keep your name on file too. You just never know. These four platforms should leave you with hundreds, if not thousands, of possible prospects to pitch. And they’re always changing, so really, these sources never run out. I hope this list is helpful. If you use these tips, I’d love to hear about it. Leave a comment and let us know how you’re using this list or let us know if you’ve come across other client prospecting resources like this. We’d love to hear them! Jessica Collins is the barefoot fitness freelance writer and certified personal trainer behind FlashFit Trainer. She lives in rural WI with her husband and young son and daughter. Nab her free 7-Day Freelance Freedom from Corporate Series to learn how to make the leap from a 9-to-5 laborer to a self-employed master. This is very helpful information. I have heard of Angels List, but I did not know how to use it to find clients. I am going to try these methods for finding cold pitching clients. This is great! I’m going to look into ndash. Awesome! It’s a great place to find one-offs to fill up your slow times or potential ongoing projects. Congratulations Aba! I’d love to hear how the pitching goes. Wish you the best. This is such a helpful article! My main freelance writing client right now is a company that I initially cold-pitched to, so I’m definitely discovering how much more effective cold pitching is than job boards. I’m looking forward to getting the most out of Angel List as I begin my (slightly more rigorous) cold pitching journey. nDash looks like a great resource too! Thanks for sharing your insight and helping other writers out there! Hey Rebecca, glad you found this useful. So far, nDash has been great for one-off projects when I’m slow, but I’m sure there’s potential for more ongoing work too. Good luck! This is very helpful! Thank you for sharing, Jessica. Hi Jessica! I just happened upon this article as I’m researching freelance writing. I am new to the craft and am trying to lay a good foundation on information for myself before I jump in. What do you think is a reasonable number of pitches to send per day? I am writing a goals list and want to make sure I’m keeping them within a teachable distance. Thank you so much for all of your advice! Hey Sherry, a goal list is a great idea this time of year. Remember your “reachable distance” may be different than mine. I would say 10-20 will get your business going, more will get you going faster (how bad do you want it? ), but 5 per day will still net you some great results. And it’s better to write 5 really solid pitches than 20 sub-par copy-and-paste ones. Finally, I always say the magic is in the follow up. You’ll usually get a much higher response rate after the follow up than the original message. This article makes so much sense. I find it difficult to find good clients for cold pitching, but I’m going to try some of the tips mentioned here.